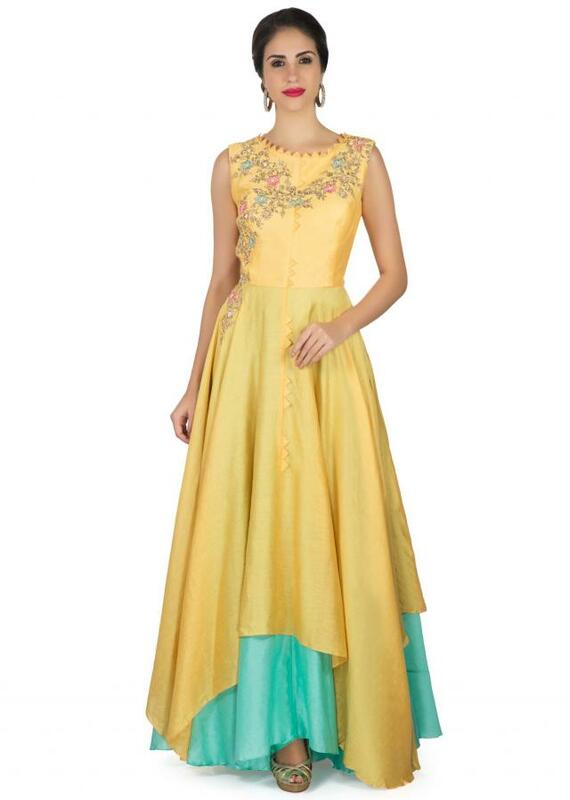 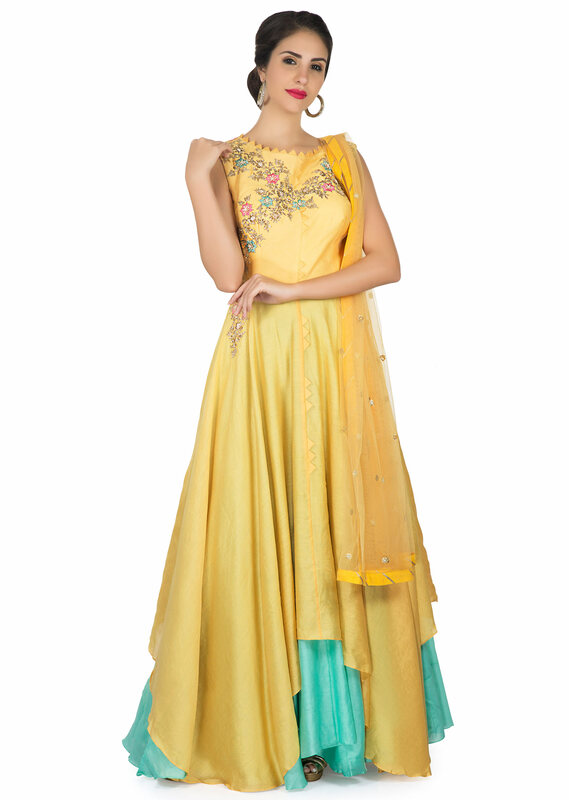 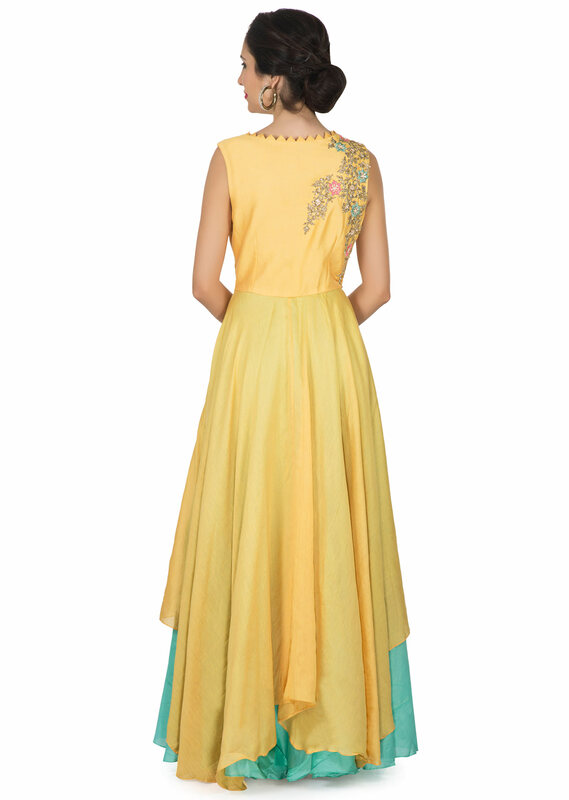 Yellow anarkali auit featuring in cotton silk with under layer in turq. 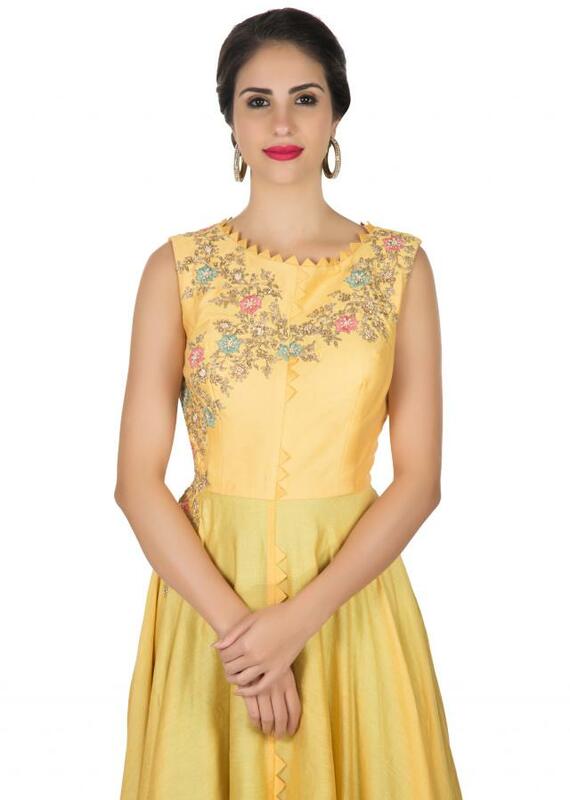 Bodice is embellished in resham, zari and sequin embroidery. 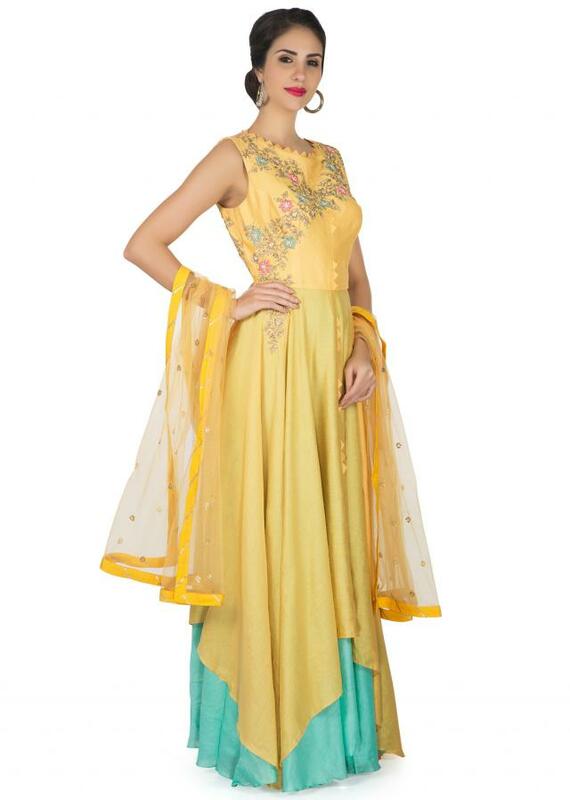 Matched with lycra churidar and net dupatta.